This is an offering of a private room in a villa, which can accommodate up to three people. 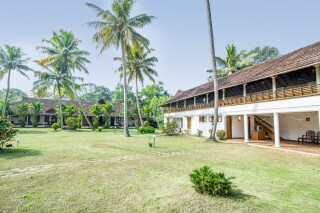 The property features a tranquil garden, and the room on offer is ideal for leisure travellers. Breakfast is provided on request. 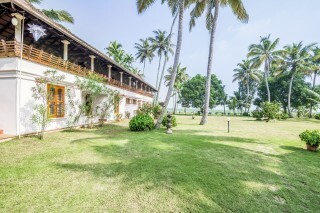 Your Space Dotted with a myriad of coco palms, this property boasts a well-manicured garden, which makes for an ideal place to enjoy morning walks. 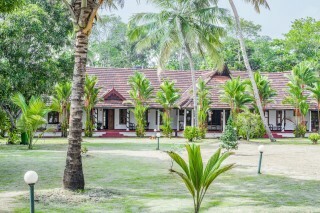 The tiled-roofed retreat also houses a cosy porch with coffee seating, where you can read a book or interact with fellow travellers. 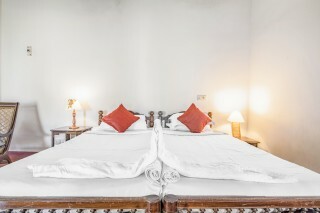 The room on offer is elegantly done with an old-fashioned wooden double bed, table lamps, a couple of chairs, a wall-mounted television for your entertainment, and two wooden cabinets for storage convenience. The attached bathroom is tiled and fitted with western sanitary ware. 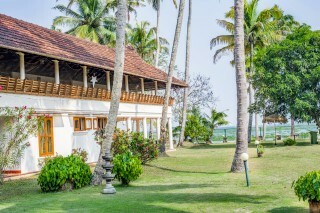 •	Kuttanad known as the rice bowl of Kerala where cultivation is carried out 4 -10ft below sea level. 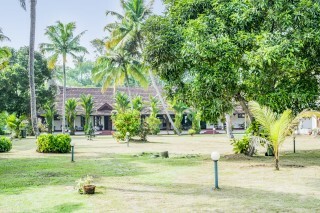 The experience is quite unique and you can get an insight into the lives of the local farmers •	Pathiramannal, which is a treasure trove of rare species of birds, is a 20 minute boat ride away from our property. •	A visit to Chavara Bhavan, which is the ancestral house of, blessed Kuriakose Elias. Potted plants and lots of flora- well that's just the kind of a homestay for the person who loves gardening, like me.